To the golfer this image is iconic: 13th hole at the Augusta National Golf Club. 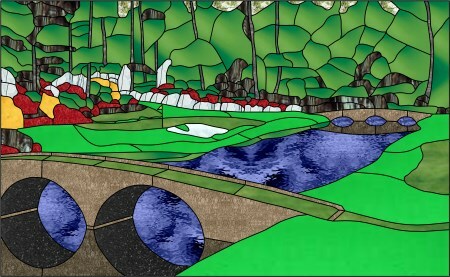 I started the piece with the intention of donating it to a charity golf event sponsored by Hearts for ALS. 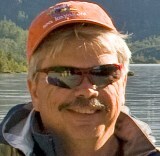 Hearts is a local ALS charity run by a family friend whose husband has ALS. Joe from Joe's Glass Shack helped with the piece by designing, building and then donating the oak frame. The piece raised $1100 at the event. Without Glass Eye 2000, I could never have done this project, which was only my third. I'm not much of an artist, but I love creating things. Using Glass Eye 2000 to trace the pattern from a stock photo was a major factor in getting the project from my head to the board. After that it was actually pretty easy. Overall the project took about 2½ months of working on it after my two-hour commute. A lot of late nights went into my labor of love. About 75% of the work was done at my home and the other 25% at my store. First was the sheer size of the piece. It's about 3½' by 5'. Just reaching the top of the project for long hours was tough. I use an old drafting desk as my glass table. As a result, I can lift the back side of the table top and slant it, which makes it easier to reach. The size also made transportation difficult. I built a ½" plywood back for the piece, which eventually became part of the shipping box. Even after it was framed, the piece was only ever picked up while it was strapped to the plywood. I added a ½" lip to the backing so when I needed to flip it over for soldering I just tilted it up, then removed it from the back, turned it around, put it back on the plywood backing and tilted it back down. Picking glass turned out to be the biggest problem. I'm still so new that I don't know what all the options are for glass. I had bought out a lot of glass from a person who was moving and didn't want to transport their glass collection. Most of the glass came from that collection. Most difficult was the glass for the bridge. I ended up ordering a custom glass through the Glass Shack. To simulate the reflected images of the bridge, I just turned the custom glass upside down. I'm very happy with the way it turned out, and I certainly I learned a lot making it. 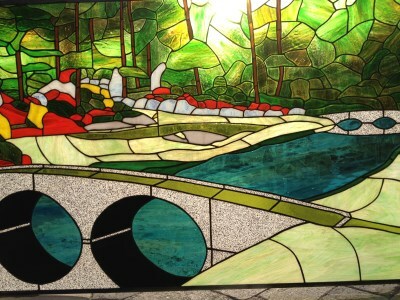 Steve Moss is a 58 year old who took up stained glass about three years ago. His initial interest in the art came from seeing a stained glass piece of an elk at a roadside shop near Williams, Arizona. He currently works as a Director of Custom Applications for a major semiconductor manufacturer in southern California, and while not working in his glass room he is also an avid scuba diver who volunteers for the WAVES Project. 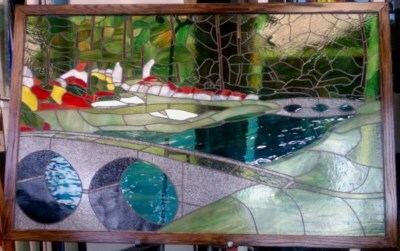 All of Steve's stained glass projects are now donated to charity events. His next piece will combine his love of scuba and will be donated for auction by the WAVES Project as a fund raiser.